Having a new baby in the house is such a special time. We all know the exhaustion for both parents that follows after coming home can cause a serious brain fog. The last thing a new parent wants or needs to worry about is dinner. Do you know someone who is expecting or just had a baby? Are you stuck on just what to take to help out with dinner? Maybe you’ve signed up to bring a meal but you’re just not sure what to make. Here are the best meals to bring to new moms that will take the headache out of dinner! Request to join our Get Dinner on the Table Group over on Facebook for more great recipes and kitchen resources for moms! Have an amazing dish for a new mom? Share your best ideas! 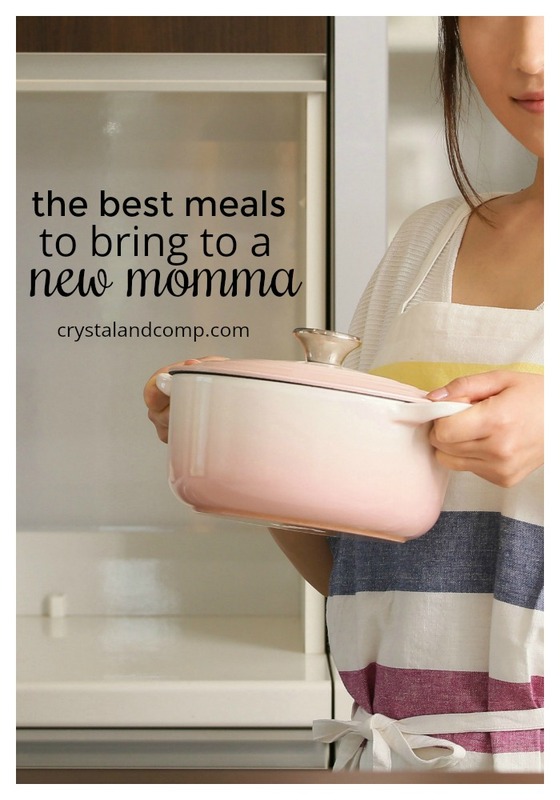 Have you ever made freezer meals for a new mom? Seriously, the best give they can ever receive. 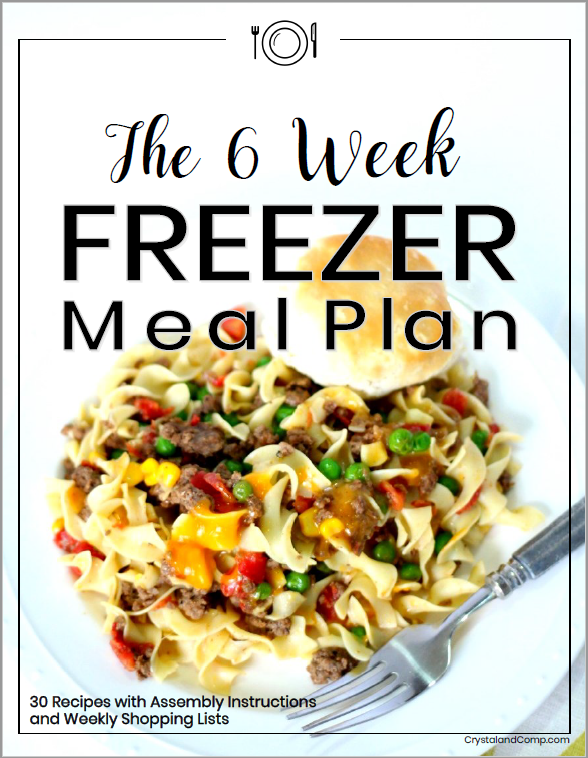 Here is our six week freezer meal plan which is full of recipes our families loves! This includes week by week recipes with assembly instructions and shopping lists. I never really understood how important it is to feed friends who’ve just had a baby, until I had a baby myself last year. I always thought bringing a meal was a nice gesture, but it’s actually way more than that. It’s a lifeline, a blessing in the truest, deepest, not-just-a-flippant-hashtag kind of way. The standard “new baby meal” is a casserole. It’s easy to make, easy to serve, and makes good leftovers. I’m with Lisa. I never understood this one until I was on the receiving end! Great list of ideas! Thanks for sharing on the What’s for Dinner link up – Would love it if you would comment there! These will be great meal for a new Mom and her family! I really appreciate you sharing your awesome post and your talent with us at Full Plate Thursday. Have a great weekend and come back soon! These are great ideas for meals to take to new moms. Maybe even make a double batch of the casseroles so you can take them one to freeze for later and one ready to eat. Thank you for linking up with us at the #HomeMattersParty this week! This is a wonderful collection of recipes! I think I saved them all. Was so happy to find this site. I’m a new follower! Your post is featured on Full Plate Thursday this week & we have pinned it to our Features Board. Thanks so much for sharing with us and enjoy your new Red Plate!